Luther brings a broad range of wisdom and experience in advising clients in Executive Compensation & Benefits, Business Exit Planning, Wealth Management and Disability Planning for high income professionals and athletes. He enjoys working with privately held businesses, entrepreneurs, compensation committees of public companies, corporate executives, and family offices in collaboration with their team of professional advisors. 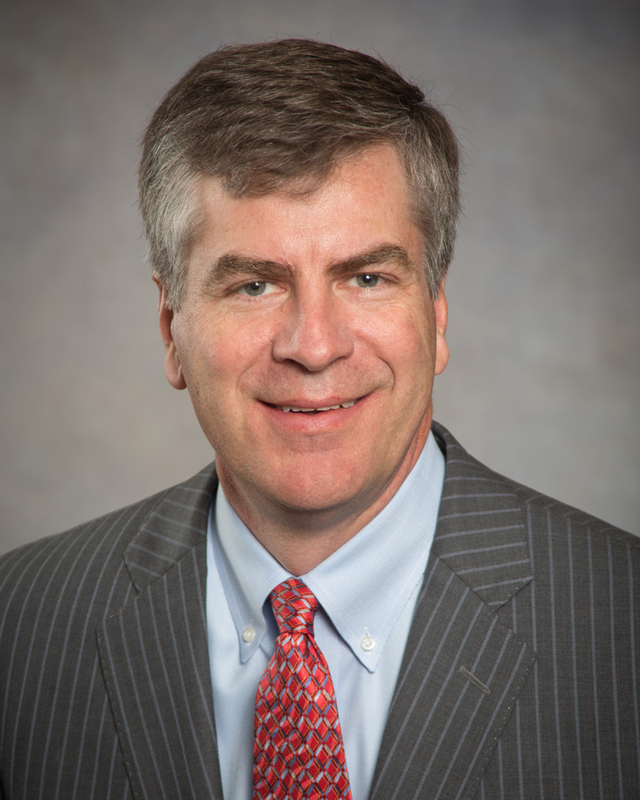 Luther started his career in Atlanta in the late 1980s, merged his practice with the firm in 1996 and was named partner prior to the sale of the business to Wachovia (now Wells Fargo) in 1999. During the firm’s period of ownership by the bank he held a number of leadership positions including Managing Director of the Executive Benefits Group where he was responsible for the origination, plan design and service for over $2 Billion of retirement assets. Luther also served as Managing Director-National Accounts for the National Wealth Management team and supported Calibre (now Abbot Downing) the Family Office practice. He led the effort to repurchase the firm from Wells Fargo in early 2009. Luther’s industry involvement is extensive, where he serves as a voice for his clients. He has chaired AALU’s Business Insurance and Estate Planning Committee, and served as President of both the Charlotte Chapter of the Charlotte Estate Planning Council and Society of Financial Services Professionals. He is a member of the Charlotte Area Compensation Council, Charlotte Benefits Forum, World at Work, the National Association for Employee Ownership and the National Association of Plan Advisors. He is a member of Young Presidents Organization (YPO) Gold, past Chairman of YPO in North Carolina and past member of the YPO Southern 7 Chapter Board. In the community, Luther is on the Board of Directors of the Atrium Healthcare Foundation where he has been actively involved with the McColl-Lockwood Lab for Muscular Dystrophy Research. He is the Vice Chairman of the Investment Oversight Committee at Atrium Health which oversees over $7 Billion of the hospital systems investable assets for future expansion, the 401(k) plan, the defined benefit pension and the Foundation assets. He is the Immediate Past Chairman of the Board of Trustees at Discovery Place where he chairs the Governance and Investment Policy Committees. Luther earned a degree in Risk Management and Insurance from the University of Georgia Terry College of Business, consistently ranked by US News and World Report as one of the top five programs in America. He’s an active alumnus currently serving on the UGA Alumni Association Board, as an Emeritus Member of the Terry Alumni Advisory Board and as a Guest Lecturer-Practitioner at the College. Luther holds the CLU, ChFC, Accredited Estate Planner (AEP), Registered Health Underwriter (RHU) designations. He is a former member of the Advisory Committee of M Holding Securities where is an Investment Advisor Representative (IAR).